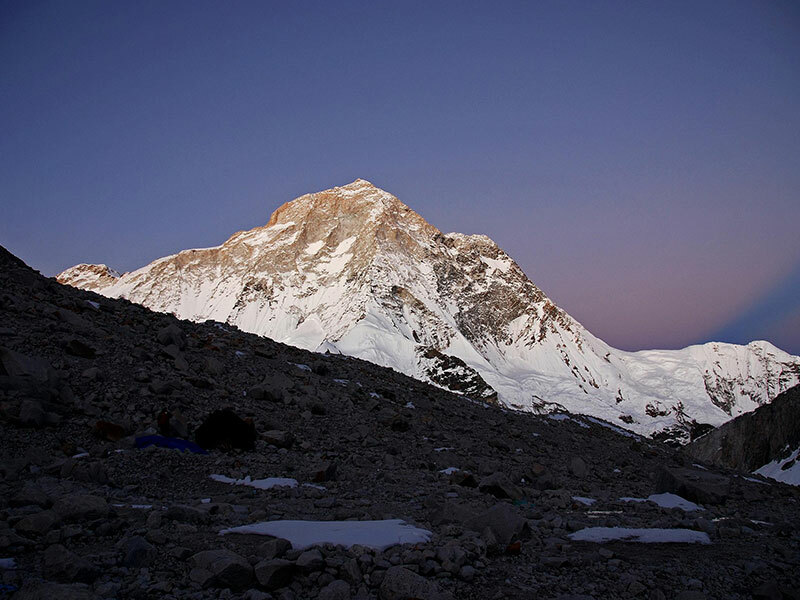 Eight of the world's tallest mountains and the world's oldest Hindu and Buddhist pilgrimage sites are located in Nepal. 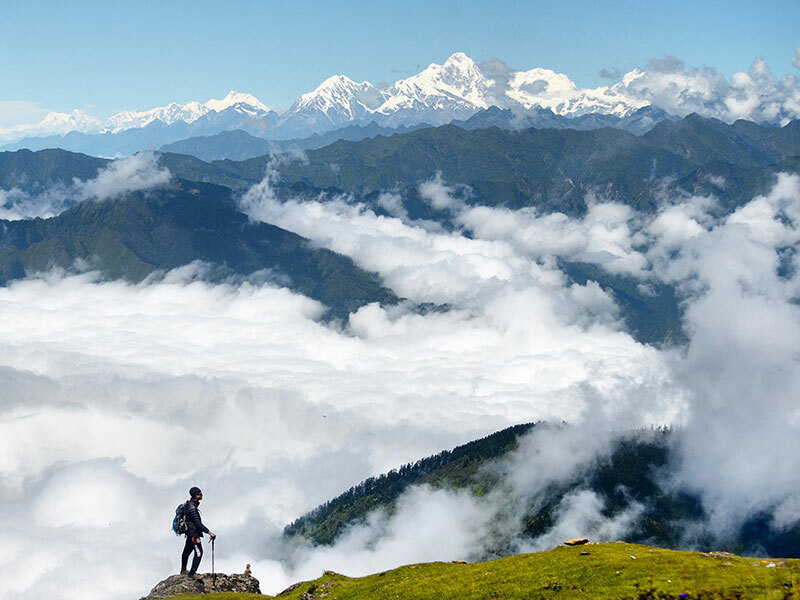 Nepal offers unparalleled adventure options with abundance in flora and fauna.Although modernization has set in, the essence of ancient Nepal – warm hospitality still remains in heart of every Nepalese. Mustang is located in the heartland of Nepal, alongside the border with Tibet. 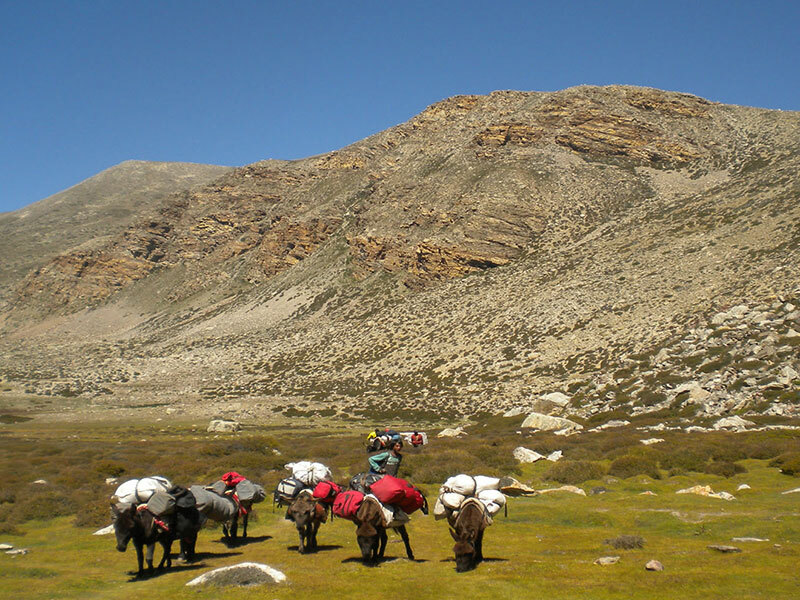 During the trek, you can witness rugged barren mountains, deep canyons, eroded cliffs and Moraine valleys, snow-capped peaks and more. Today after the breakfast we’ll be touring around the Kathmandu valley. The Durbar Square, Swoyambhunath Stupa, Pashupatinath temple and Boudhanath Stupa are the major sight-seeing areas around the Kathmandu valley. These all are listed in a world heritage sites. The Durbar square shows us the real life of ancient periods. Pashupatinath temple is one of the most sacred Hindu pilgrimages. Swoyambhunath temple and Boudhanath stupa is the Buddhist temple which is very popular around the globe. Swoyambhunath is also known as money temple stands on the hilltop west of the Kathmandu valley. It can also be known as the viewpoint of Kathmandu valley. Boudhanath temple is the biggest Chorten ever made around the world. Today we will fly to Pokhara; a short scenic 25 minutes flight. On arrival at Pokhara airport, we are transferred to Hotel. Remaining afternoon at leisure or stroll around Lakeside. We wake up early because the Jomsom flights start early in the morning, depending upon the weather conditions. At Jomsom, we have to register nearby the local authorities for our trip to the Mustang. It takes about 3.5 hrs walk to reach Kagbeni from Jomsom. On reaching the Kagbeni Village, we will complete our paperwork at police check post before entering this long-forbidden region of Nepal. This morning we pass the Kagbeni “restricted area” board and enter the Mustang. After about 3 hours of walk, we will reach Tangbe, a small village which is a labyrinth of narrow alleys, fields of buckwheat and barley and apple orchards with the view of Nilgiri Peak on the back. We trek further towards Chuksang where we camp for tonight. We follow the Kali Gandaki River which is now called the Mustang Khola until we cross a bridge way up to Chele. The village is clean, very inward looking and perched on a place which allows the checking of all the valley movements. We can feel the change of ethnic groups and customs as we pass by the village. The trail then goes up on a small plateau, closed by a surprising bottleneck of stone penitents. View of Gyagar, a wall-surrounded village. As we move through the rocky steps and steep staircase, the trail overlooks the gorge. As we arrive at the first pass at around 3530m, we get the glimpse of Damodar Himal. From here we descend to Samar, a typical village with poplars, a good irrigation system, and friendly people. Today we will notice the two trails leading to Geling, the simplest one on the hillside which takes about 4 hours and the other one follows the “pilgrims trail” and takes more time which we will take it. Starting with the steep drop into a canyon will lead a holy cave fervently venerated by the inhabitants (especially a chorten shaped stalactite). From here we ascend to another spectacular canyon till Shyangmochen (3700m) where we rejoin the main trail. After crossing another short pass (3860m), we descend towards Geling (3520m). In the morning we will visit the Geling monastery. According to Peissel, Geling is considered as “the Mustang gate”. Way up to a pass at around 4395m. We descend to Gemi hamlet which is another great place where we have a lunch in a village house. After lunch, we take a steep trail overlooking Tramar. A steep ascent to the Lo Gekar monastery. A visit of that XIth century ancient monastery. The trail goes on more easily till the Tsarang village, where we camp. The Village overlooks monastery where we will be visiting. The village has some remarkable points including the big chorten at the beginning way from Gemi. On the way out of Tsarang, we pass nearby a turbine which provides electricity to the village. Several mills work on that torrent and a big Chorten marks the way out of the village. We will notice many troglodytes’ settlements are towering us. A dry valley, which progressively becomes greener, leads us to a pass where prayer flags are flapping at 3870m as we overlook the Lo Manthang valley. We walk further arriving below the Mustang capital walls. The place has two gates: the main one on the north, the second one, unobtrusive and discreet, on the south. Generally, the King honors us with his presence if we request an audience. We will pay homage to him while drinking a salt and butter tea. There are numeral hikes around Lo Manthang, amidst barley, mustard and buckwheat fields. We can also enjoy walking along the narrow streets of that ancient town and watching the people having a chat on the Royal Palace square. The centuries-old monasteries also have very nice paintings. We again cross the pass over Lo Manthang then we move towards the left. The trail goes upstream a valley next to the Mustang Khola. We will come across some tricky sections to cross, then a short pass, steep at the end, crossing before descending amidst fairy chimneys. On the way out we overlook Dhie. The drop, still steep, ends in a lunar atmosphere. At first, the trail descends to the Ghechang Khola at around 3350M, then again goes up till 3800m before we descend again! We will camp near Tange and also visit the remote village with a remarkable architecture, especially its wonderful Chorten line. It’s a long day today because as we encounter many switchbacks! Firstly, horizontal trails till the torrent which steeply rises to 4100m. Another about 3 hours of walk and we descend to Tange. We will camp here the titanic atmosphere. We go through an easy 3 to 4 hours ascend that brings us to Muktinath. We leave mustang after this pass and arrive at Muktinath. Trek Tojomsom – 5 Hrs Walk. Today we leave Muktinath and descend down to Jharkot village where we visit the ancient Shakyamuni Buddhist Monastery and Traditional Medical Center and then to Ekalbhatte and to Jomsom. We will camp here for the last night with our staff. We take an early morning spectacular flight from Jomsom to Pokhara and catch a connecting flight back to Kathmandu. Depending on your flight time you will be transferred to the airport. The airport check-in is 3 hours prior to the departure time and the hotel checkout time is 12 PM. This tour spends three nights in a hotel in Kathmandu, two nights in Pokhara and thirteen nights on the trek in tents on sharing basis. In Kathmandu, we normally use a 3-star hotel, located within walking distance of the Thamel and in Pokhara we use a 3 star hotel which is located near Lake side. Day 17 : Trek Tojomsom – 5 Hrs Walk.